One of the great things about the Dodge brand is how they can take one product and completely change it with features and styling upgrades. 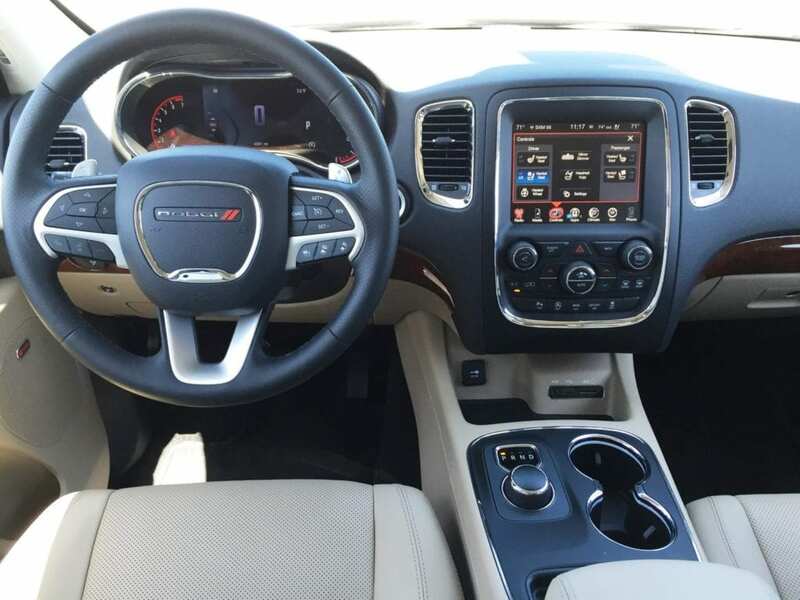 A great example of this is the 2016 Dodge Durango Citadel with its luxurious interior materials, plethora of features and great exterior styling touches. It almost feels like a completely different vehicle and not a Durango at all. 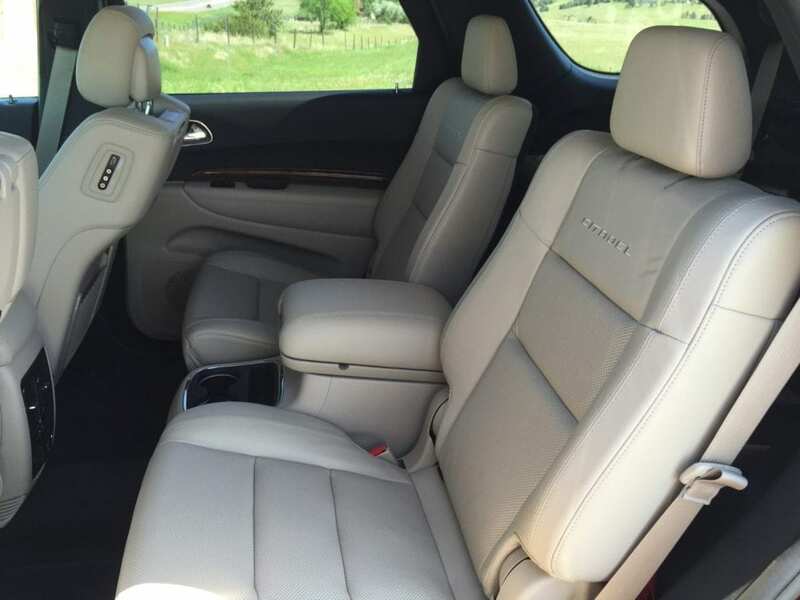 Quite frankly, the 2016 Dodge Durango Citadel is so much different than a Durango, it really could be a wholly separate vehicle and it is so good as a three-row SUV, it is easily one of my favorite “sleeper” SUVs on the market. Its only problem really is with its product placement within the Dodge lineup. 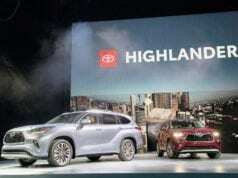 This SUV could easily be a BMW or Lexus competitor, yet with the Durango badge and a starting price of $30,495, it has to be hard to move consumers all the way up to the $50,670 price point of my test model Citadel (base price is $41,295). On the flip side, it has to be difficult to get luxury customers to take a serious look at the Citadel when they are getting pampered at luxury dealerships. However, they should. 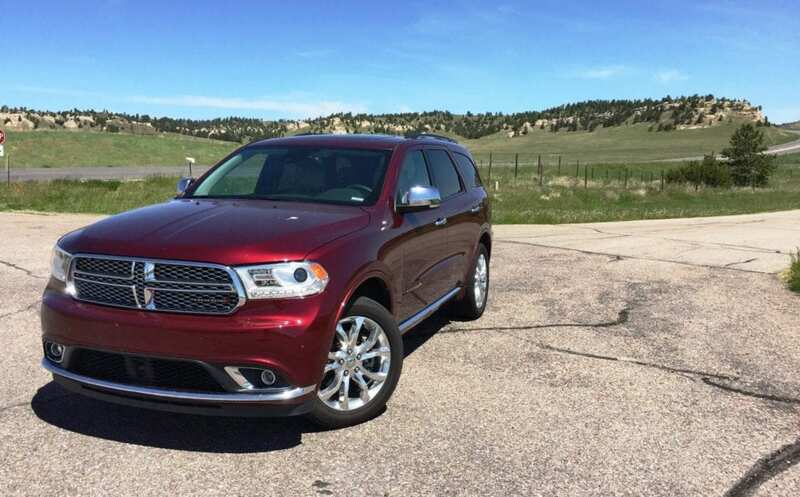 Consider this, the 2016 Dodge Durango Citadel’s top end price is equal to the starting price of a 2016 Lexus GX 460 and the Citadel is miles better than the entry-trim-level GX. Starting with the exterior, Dodge designers have once again done a great job of creating product differentiation between the various Durango trim levels. The big difference with the Citadel is the amount of chrome found in the front fascia, grille and 20” inch aluminum polished wheels. These touches really add a luxury feel with the color-matched bumpers and dual chrome tipped exhaust pipes. Finally, the new Red Pearl color on the 2016 model really enhances the look. 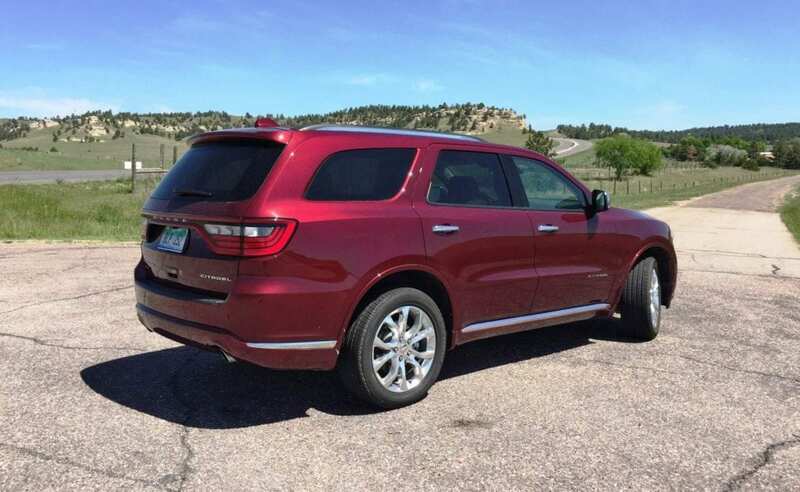 One step inside the SUV and it is pretty apparent this isn’t a base model Durango. For starters, the interior is clad in premium materials that are often found in luxury vehicles and the very comfortable Nappa leather-trimmed seats. 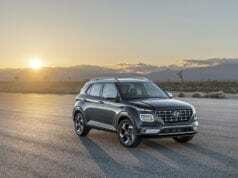 The seats are also heated and ventilated with both the driver and passenger seats offering 8-way power adjustments. A few other items to note are the power titled and telescoping steering wheel for optimal driver’s position, good driver’s visibility and, like usual, a great layout for buttons, gauges and dials. Moving back into the middle-row, my Citadel test model came equipped a $2,490 premium entertainment group which includes a rear DVD entertainment system with the player mounted in the center console and the 7” screens mounted into the rear seat headrests. There are also 9 Beats speakers included in the package and these items along with the Uconnect system and multiple USB ports provide all the technology most families need. Finally, moving all the way back, there are the third-row seats. Often a disappointment for many SUVs, the third-row is actually a big hit in the Citadel. Not only are they fairly easy to get back to with the middle-row bucket seat folding in half and rolling forward, they also provide adult-sized leg room (under 6’ foot). They are comfortable and there is enough room to hold 2 adults or 3 children in this row. 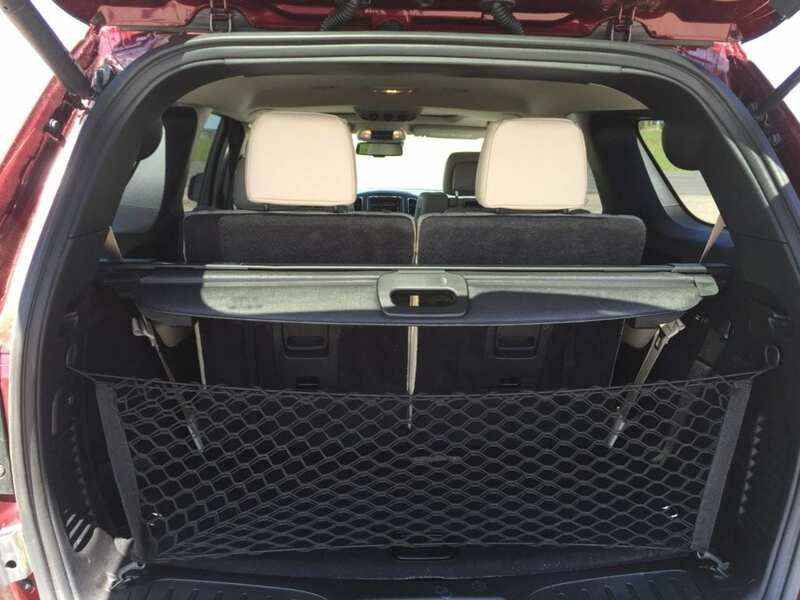 The rear cargo room also is pretty ample with the third-row up or down. 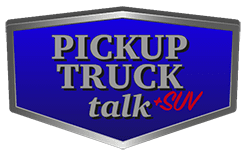 Sure, with the third-row up and in use, the cargo room gets squeezed, however, there is plenty of room for groceries or a trip to the soccer fields. When it is down, there is a vast amount of storage space and I wouldn’t think twice about putting in a full sheet of drywall with the second-row seats down as well. On the road, the Citadel really shines. 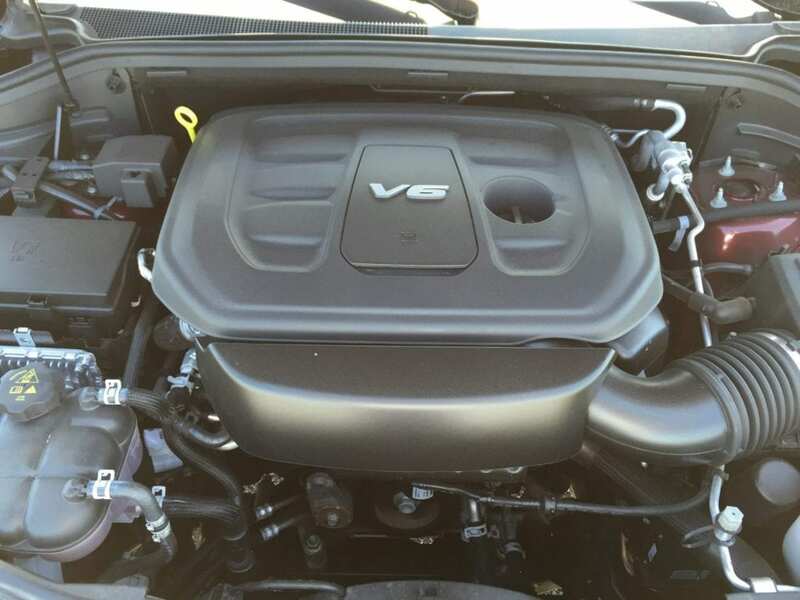 Its 3.6L V6 mated to a 8-speed transmission feels powerful and spritely. Steering wheel input is really responsive for this size vehicle, braking is smooth and road noise is really diminished thanks to additional noise-dampening materials engineers have integrated into the SUV. The powertrain is simple well balanced and the 295 HP with 260 lb-ft of torque does not disappoint. However, if you are one of those who wishes for more speed, Dodge has added a new Sport mode this year which changes the throttle response and transmission shift points to give you more speed off the line. I tried this feature many times and found it really unnecessary. Besides the Sport mode, Dodge has also added an engine Start/Stop feature for this model year. Basically, this feature is meant to save gas by turning the engine off and on while stopped. This feature is seemless and I would suspect owners forget it is even part of the vehicle after a while. It also helps add to the 1 MPG bump in highway/city fuel economy and 2 MPG bump for combined in the 2016 AWD Citadel over the prior model year. Officially, the EPA rating for the V6 2016 Dodge Durango Citadel AWD is 18/25/21 city/highway/combined (the 2015 model was 17/24/19). 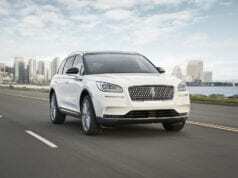 Finally, with an optional trailer towing package, the Citadel can tow upwards of 6,200 lbs (7,400 lbs for the V8 model). This means you can tow most boats and many bumper-pull campers for a weekend of camping or day at the lake. After driving the SUV for a week and comparing it to my thoughts on the 2015 model, I can honestly say I really can’t find anything I don’t like about it. Sure, there could be improvements like integrating the DVD player into the center console below the radio to increase center console room. A larger, panoramic sunroof would be nice to bring additional natural light into the rear like its competitors are doing. Finally, additional park assist features would be a nice addition. Yet, these things are really just “nice to have” features. 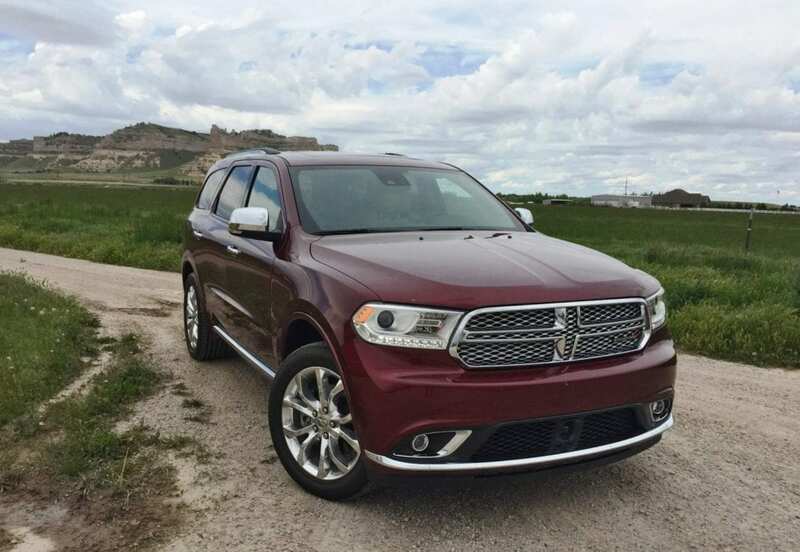 The 2016 Dodge Durango Citadel is pretty good as is and consumers should definitely be shopping for it. 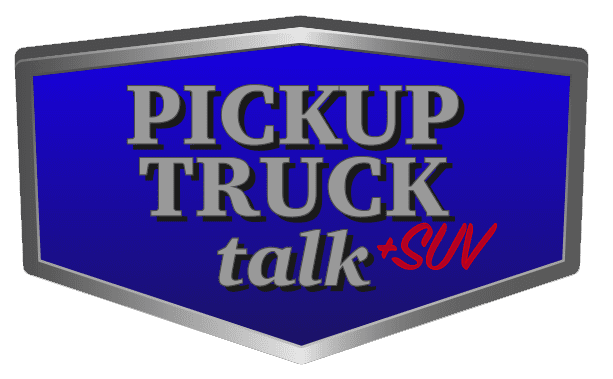 Next articleCould The 2016 Nissan Titan XD PRO-4X Be A Ram Power Wagon Competitor?